Live video brings you one step closer to being there. But what if live streaming would not only enable you to see the world from the broadcasters’ perspective but also experience the world around them? 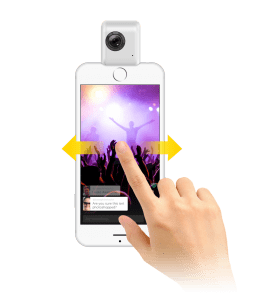 Well starting from today, we are proud to introduce Twitter live video in fully immersive 360-degree with the Insta360 Nano. Live 360 video on Periscope takes your audience one step closer to where the magic happens. Let your viewers be part of an immersive experience and make it easy for them to interact with you. Twitter has rolled out this feature to every iOS user. Everyone with an Insta360 Nano is now able to go live in 360 on their own. 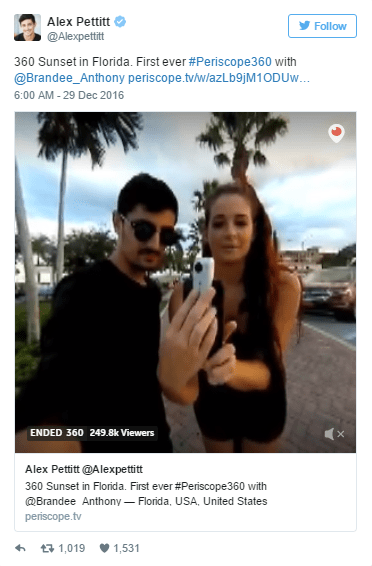 Watch Periscope broadcaster Alex Pettitt using the Insta360 Nano to livestream 360 video on Twitter for the very first time here. First, make sure you have a good and stable Internet connection. 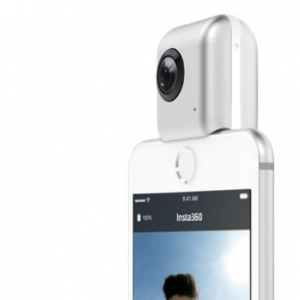 Simply plug the Insta360 Nano into your iPhone and you are ready to livestream on Periscope in 360-degrees. Go to the livestreaming interface, where you’ll find a camera icon right beside the location icon. Once the camera icon is active you are using the Insta360 Nano for live 360 video. Press “Go Live” and start sharing your life in 360! Thank, Jeannette! I’ve only made a handful of chicken recipes, but roasting was first on the list when I was given the green light! I thought the same thing about how often chicken parts are soaked in burketmilt, so why not the whole thing? enjoyment, since this this web page conations actually pleasant funny material too. Still no contact from periscope with a link to the white listed 360 live stream app. Any idea when I might be contacted? Discover How To Harness The Power of Social Media Sites like Facebook And Twitter To Ignite Your Business Through The Roof… Learn More Today. Hi There! We are searching for experienced people that are interested in from working their home on a full-time basis. If you want to earn $200 a day, and you don’t mind developing some short opinions up, this might be perfect opportunity for you! Simply check out the link here NOW! Hi There! We are searching for experienced people that might be interested in from working their home on a full-time basis. If you want to earn $200 a day, and you don’t mind developing some short opinions up, this might be perfect opportunity for you! Simply click the link here NOW! I don’t think anybody vaguely sane ever thought the&;#8217yd do anything else.Harvard is a hotbed of extreme kahanist activity, if it were in any other western country it’d be under constant scrutiny from the intelligence services with the amount of destructive individuals it’s responsible for. Hi There! We are looking for experienced people that might be interested in from working their home on a part-time basis. If you want to earn $200 a day, and you don’t mind writing some short opinions up, this is the perfect opportunity for you! Simply check out the link here NOW! I’m trying to stream to Wowza streaming engine but I couldn’t figure out the stream name. I could only set the URL and not the streaming name. Would you please assist me on this? I have been using Insta 360 for my lives o Periscope New York Hoje – @bigappleduet1; however, the image get very choppy. Is there a suggested setting for scoping while walking around the city? I know the areas that has strong connections and I try stay within those areas. Thanks !